Life, Laughter and Paris: Lights! Camera! Action!.....Paris...Hollywood.....Oscar! I know, the Oscars are old news. They were, after all, yesterday! But for me, this year was exceptional. There has been a long standing love affair between the City of Light and the City of Angels. 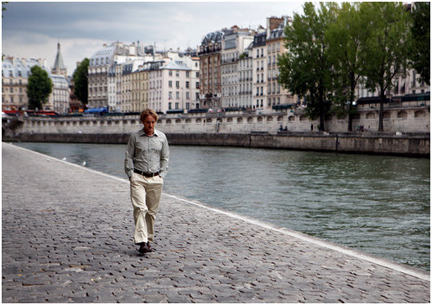 Many of us began longing for Paris because of the movies we saw growing up. Romance? Adventure? Joie de vivre and la vie bohème? Brought to us via the big screen in glorious color. Or, brought to us via the late night movie on our TV sets. Either way, it was fabulous. “An American In Paris”, “Irma la Douce”, “Charade” and so many more. Paris was always there. It may have been the Hollywood version, but it was close enough. First off we have Woody Allen’s “Midnight in Paris”. Anyone who loves Paris has to see this movie. The opening scenes alone are worth the price of admission. I love this film. So much imagination and set in Paris in the 1920’s, a great time for art and literature in the city. Hemingway, Stein, Fitzgerald, Picasso, Dali....they're all here. After watching this movie you'll want to hop on the first plane to CDG. The film won the Oscar for best screenplay. Then there is "Hugo". I can’t comment on this one because I haven’t seen it yet. Movies in 3D aren’t for everyone – especially those of us who get motion sickness. But, it’ll be out on DVD tomorrow and I’ll be buying a copy toute de suite. It's set in 1930's Paris and is the story of an orphan struggling to survive in a French railway station. The critics are calling it "the stuff dreams are made of", and I see the Eiffel in the background which makes me think this is a first rate film! And, of course, “The Artist”, from French film maker Michel Hazanavicius. What’s not to like? 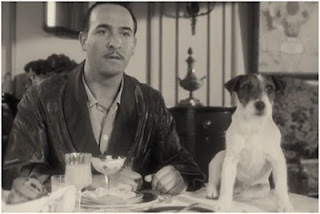 It won the Oscar for Best Picture, Best Actor (Jean Dujardin), Best Director, Best Score……and if you don’t love “Uggie” the four legged star, well there’s no hope for you. "The Artist" isn’t set in France, but we’ll forgive that this time. Set in 1920’s Hollywood, a black and white film with no dialogue is just what we need (a little quiet). A good story with sympathetic charcters. Maybe it's the way the world is right now, but isn't it odd all three movies are set in the 1920's - 1930's? For me this is perfect. I'm hoping the directors, producers and actors notice how popular this trend is. We want more more more! I am a huge Oscar fan. I enjoyed the show so much last night. We visited Paris last June and when we saw Midnight in Paris I knew I had to own it because it felt like my personal video of what we saw. 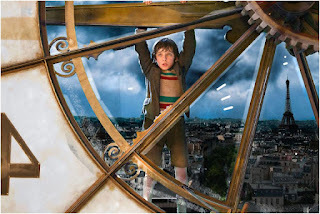 (Target had it for $9.99 a few weeks ago) Hugo, loved the movie and was very excited that it took place in Paris. I have never been so enamored by a movie as I was when I saw the Artist. One of the best movies I have ever seen. Can't wait to own it. So glad that it won best picture and I am secretly in love with Jean Dujardin. My bowling partner was born and raised in France and I just love listening to her talk every Tuesday. I think you and I have the exact same taste in movies! I was rooting for The Artist too. Can hardly wait to see Hugo. I think all 3 are "must haves" for the DVD collection! Of those movies, I have only seen Midnight in Paris and I loved it. I absolutely agree that the scenery alone would have been worth the price of the tickets. Clever story line as well. Very unique the way the characters were in and out of the past and present. The one minor flaw for me is I don't think Owen Wilson would have been my first pick for the male lead. Still, I thoroughly enjoyed it. I think Owen Wilson was doing his Woody Allen impression - you could certainly hear Woody speaking the lines. But to tell you the truth, I hardly noticed him - I was too busy looking at Paris and enjoying all the characters - I particularly liked Dali! I agree that the Paris scenes and the portrayals of the asst. writers and characters were so interesting that Owen's presence was just a minor distraction. I hadn't thought about him doing a impression of Woody Allen. That makes sense. I kept getting distracted by thinking of his previous personas as in Wedding Crashers and Old School.